Don Kopp had a son who was a pilot in the Gulf War military operation that he relates at his web site. So he apparently had some special attention that drew him to this exciting, associated, NASA satellite discovery of the Exodus route. This all took place in the early 1990s and I'm surprised, and sorry, I did not run across it before now. 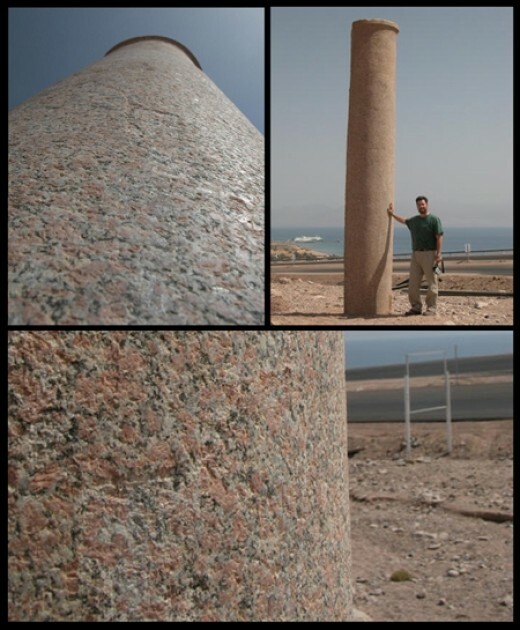 Importantly, this fits exactly with the other confirming evidences such as the numerous chariot wheels at the bottom of the gulf of Aqaba, the two red granite columns king Solomon made to mark the Red Sea Crossing, and many other important artifacts confirming the complete authenticity of the Exodus. 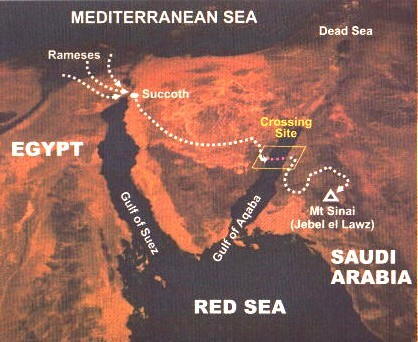 Collaboration of the Exodus Path by NASA satellite. See Iraqi war surprise. Be sure to see Don's other pages that he lists. The stunning, critically important, relevant, powerful, evidence for the Exodus he Red Sea Crossing makes for an easy way to tell others of God's mighty acts, and it illustrates his way of redemption, or salvation, too.